Free Nike gear sitting in the middle of a public place? This will either go down in the books as a damned clever marketing move or a great way to cause a panic. Early this morning, we started hearing whispers of a vending machine that had been plopped down somewhere in New York. But there’s a twist! Two twists, really. 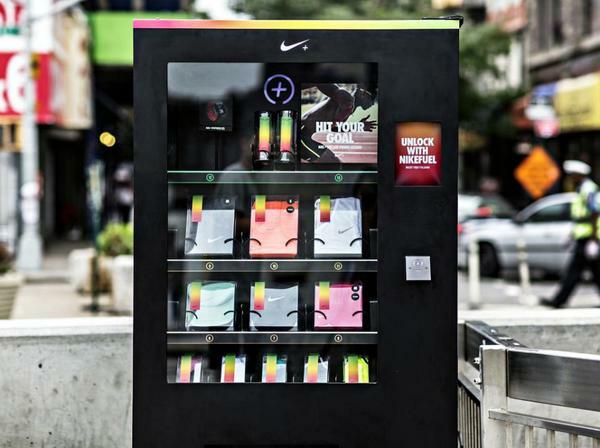 This vending machine only dishes out Nike gear… and it doesn’t accept cash. To get something out of the machine, you’d need to cough up some points from a Nike FuelBand. The machine is mostly filled with things like socks, shirts, and hats. Free stuff is free stuff, but don’t expect to walk away with a pair of classic Jordans or anything. We’ve seen a few people mention that it only counts Fuel points from today, not the points you’ve built up over time. So you’ll need to move around a bit first. Apparently things in the machine start at around 500 fuel points, with the “good stuff” going for 1000+ points. 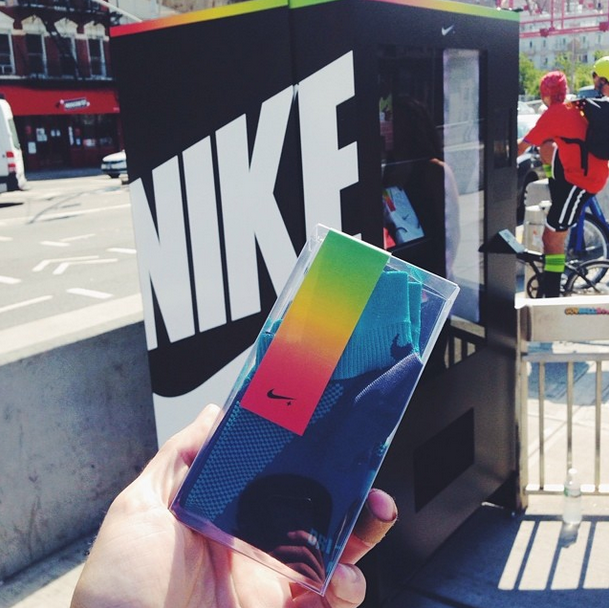 Nike has been tweeting out hints as to where the vending machine is located, but lurking around Twitter and Instagram helped to narrow it down a bit. In the background of this photo, it’s pretty easy to spot the sign that sits just above the Manhattan end of the Williamsburg Bridge. We popped into Google Maps to try to figure out exactly where the photo was taken, and it looks like it’s right at the corner of Delancey and Clinton. A quick Twitter search for “nike vending Clinton” leads to this Instagram post, which seems to confirm that conclusion. According to one of the first tips we got about the vending machine, it’ll change locations around midnight tonight.